Dr Qi (Tony) Zhou, academic researcher in the Faculty of Pharmacy and recipient of this year’s ‘Peter Doherty – Australian Biomedical Fellowship’ awarded by the National Health and Medical Research Council, says respiratory infectious diseases are a major health problem for Australians. Each year, respiratory tract infections cost Australian taxpayers more than $150 million in direct costs and considerably more in indirect costs due to absenteeism and loss of productivity. Upper and lower respiratory tract infections account for almost seven million visits to GPs each year in Australia. With the incidence of respiratory infection on the rise and superbugs now being blamed for the increase, it is imperative that researchers find better treatments to combat these emerging villains, says Dr Zhou. “At the moment, the most common way of treating respiratory tract infections is with oral or intravenous antibiotics. Due to antibiotic resistance, treatment using aggressive antibacterial agents is becoming more and more necessary. But these salvage medicines can cause dire side effects for patients such as severe diarrhea, nausea and vomiting or even irreversible organ damage,” Dr Zhou says. Dr Zhou’s team will develop tiny nano-sized antibiotics that will be packaged in inhalers. The team includes world-leader of respiratory drug delivery, Professor Hak-Kim Chan, also from the Faculty of Pharmacy, infectious disease experts at Monash University and a top nanoscience team based at Princeton University, USA. 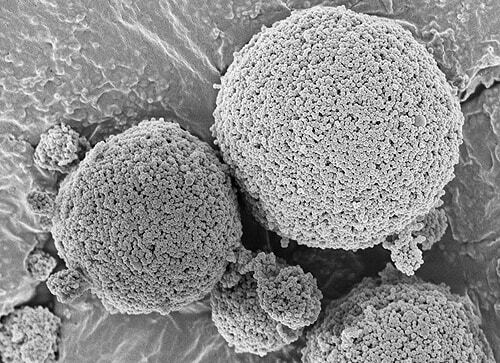 “These new inhaled nanomedicines will target the antibiotics directly at the respiratory tract. Ultimately they will be easier to carry and operate and have a more rapid drug-action,” says Professor Hak-Kim Chan.